The hepatitis virus panel is a series of blood tests used to detect current or past infection by hepatitis A, hepatitis B, or hepatitis C. It can screen blood samples for more than one kind of hepatitis virus at the same time. Antibody and antigen tests can detect each of the different hepatitis viruses. Note: Hepatitis D only causes disease in people who also have hepatitis B. It is not routinely checked on a hepatitis antibody panel. 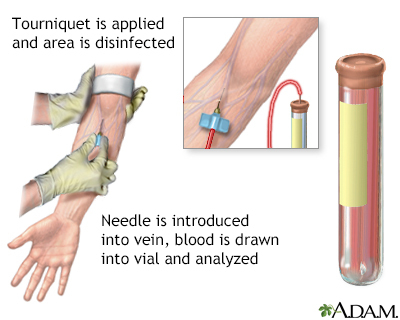 Blood is most often drawn from a vein from the inside of the elbow or the back of the hand. The site is cleaned with germ-killing medicine (antiseptic). The health care provider wraps an elastic band around the upper arm to apply pressure to the area and make the vein swell with blood. Next, the provider gently inserts a needle into the vein. The blood collects into an airtight tube attached to the needle. The elastic band is removed from your arm. Once the blood has been collected, the needle is removed. The puncture site is covered to stop any bleeding. In infants or young children, a sharp tool called a lancet may be used to puncture the skin and make it bleed. The blood collects into a small glass tube, or onto a slide or test strip. A bandage may be placed over the area if there is any bleeding. The blood sample is sent to a lab to be examined. Blood (serology) tests are used to check for antibodies to each of the hepatitis viruses. Some people feel moderate pain when the needle is inserted to draw blood. Others feel only a prick or stinging sensation. Afterward, you may feel some throbbing. 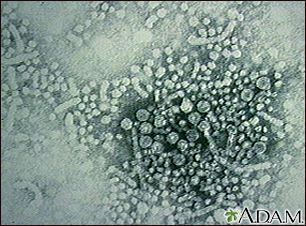 A normal result means no hepatitis antibodies are found in the blood sample. This is called a negative result. 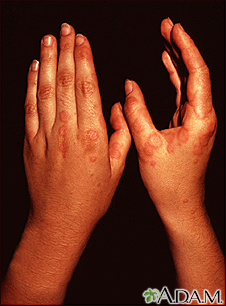 There are different tests for hepatitis A and hepatitis B. A positive test is considered abnormal. You currently have a hepatitis infection. This may be a new infection (acute hepatitis), or it may be an infection that you have had for a long time (chronic hepatitis). You had a hepatitis infection in the past, but you no longer have the infection and can't spread it to others. Antibodies to hepatitis C can most often be detected 4 to 10 weeks after you get the infection. Other types of tests may be done to decide on treatment and monitor the hepatitis C infection.